Today is the day that the first of the court trials against the Ku Klux Klan, white supremacist racist group, began. Post the trials, the first version of the hate group came to an end. I wish I could say with a firm belief that they are finished, because they surfaced again in early 1920s and then again later in the century. My own knowledge about the racism came through the books I read. Literature has the power to bring another world, however remote, into your own consciousness. WE STAND FOR WHITE SUPREMACY. Distinction among the races is not accidental but designed. This is clearly brought out in the one book (Bible) that tells authoritatively of the origin of the races. This distinction is not incidental, but is of the vastest import and indicates the wisdom of the divine mind. It is not temporary but is as abiding as the ages that have not yet ceased to roll. The supremacy of the White Race must be maintained, or be overwhelmed by the rising tide of color. The above excerpt is taken from a pamphlet released by the Ku Klux Klan in 1920. Yes, Ku Klux Klan did not rise only once but thrice. And at different points in history. Though outlawed, shadow groups still exist, maintaining the secrecy of a brotherhood to finally achieve what they have longed for always; White Supremacy. What makes them more delusional is that they have actually convinced themselves and a huge section of the population that Christ was a white man and he can only be prayed to by a white person. The first time I came to know about this “all white” Bible was in the book The Color Purple. Through her letters to Celie, Nettie finally explains that all their life they were taught Christ is a white man. But descriptions such as “with hair like lamb’s wool” indicate that Christ was actually a black male. This is an interesting point, something that I had never thought about or considered before. That’s what the best books do; they open your mind to new ideas. 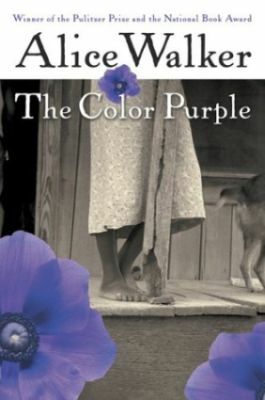 The Color Purple is one of the best books about racism that I have ever read. Yes, even better than To Kill a Mockingbird . It touches upon all sides of racism, from religion to everyday living to a black person’s ever evolving concepts about their own race. Written in African-American English, this book is about Celie, a young Afro-American and her life: an abusive childhood, a loveless marriage and, later, a lesbian relationship which finally helps her discover herself. Every time I want to describe some odd fear in my heart to a friend, I quote this. As you can see, despite dealing with a very grim subject, it has humour too. Lots and lots of it. And when I think of humour, I also remember classics like Uncle Tom’s Cabin and Huckleberry Finn. They are age old narrations speaking of discrimination in their funny yet true account. 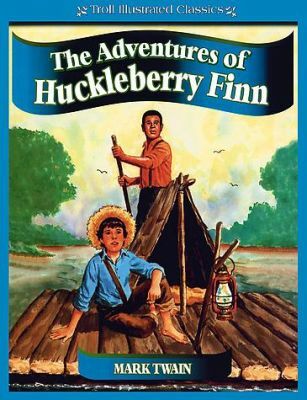 The story of Huck and Jim illustrates to us that friendship goes beyond color and all distinctions. It helps us connect with Jim who is courageous, friendly and very loyal to Huck. Who gives up his freedom for the sake of his friendship. Now many would ask: what does this story have anything to do with fighting the cause of racism? In fact there are some who feel that Mark Twain achieved just the opposite by a few random remarks. But observe this case more closely with me. At the time Mark Twain wrote this novel, slavery had been abolished for over two decades but it was yet to be removed from the minds of the people completely. And what he tried to show through his writing was the clear motive of an Afro-American dream which was to be a better human being. Back then, in the late 1800s and early 1900s, the prejudice against blacks was more to do with them being thieves, criminals or rather notorious in nature. Jim embodied the goodhearted, helpful man which molded people into removing such judgments. One needs to remember that these books were written in a time when racism was considered acceptable, yet the books brought out the injustice that was inherent in society, and for the first time, readers could empathise with blacks and their pain. But in my opinion Jim lacked one thing, he lacked a sense of open spirit. One that hits you in your face, telling you have a fighter at hand. So, instead, consider Maya Angelou. Her whole life including her writing, persona together screams of a raging war. Her never-say-die spirit percolates the minds and hearts of all people alike. She is credited as being one of the first black women to have spoken publicly about her personal life. She is also heralded as the ambassador of the black community by many. 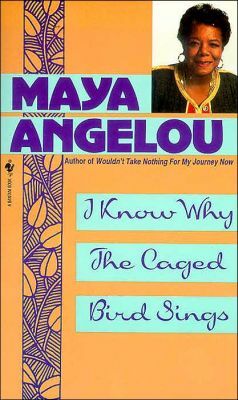 At the age of seventeen she wrote her first book, I Know Why the Caged Bird Sings which is largely autobiographical. This book gave me gooseflesh. It holds the key to many of the atrocities committed on black women back then. Angelou narrates how she was repeated raped by her mother’s boyfriend and how her being a single parent without much of money forced her to undergo professions such as being a pimp and a prostitute. Later, she became a dancer and then eventually, a writer who chronicled her own life with searing honesty. Read this quote again. This is why I feel that Maya Angelou is the tougher black, compared to Jim. Jim is endearing, someone you feel sorry for. Maya Angelou evokes respect. She doesn’t demand sympathy or pity but commands a strange mix of awe with it. This difference is because of two reasons: the change in times between the period in which the books were written and appreciated; and the fact of Angelou being a black woman writing about being a black woman, as opposed to white writers writing about the experience of blacks. The law took its course on this day in 1871. It was the first step in a battle that is still being fought, for racism still exists. But today was a day justice prevailed, and another rather untoward division of society came to a brief end. But perhaps we need many more such 28th Novembers to finally achieve what Atticus strived for but failed- to deal a fair hand to all. Tell us: have you heard of Ku Klux Klan? Which books on racism come to your mind? See it, you’ll like it. It has Gene Hackman and Willem Dafoe – who are superb! Great list of books there, Richa. 🙂 Its for the first time I heard about Ku Klux Klan. Pardon my ignorance, please. G;ad you brought this out. Thanks! Thanks a lot 🙂 and Klu Klux Klan is a huge topic, this is not even the tip of the iceberg…. Yet to read Maya Angelou…. but the rest of the reads are just too good. Books do let us teach so many things from different times of the world! Even the book ‘The Help’ by Kathryn Stockett, that talks about racial discrimination in the rural part of the US in the 60’s, is really good. You should try that if you haven’t read it yet. But this article is very well written 🙂 Kudos!